A couple weeks ago I announced the release of my first self-published book, LES. 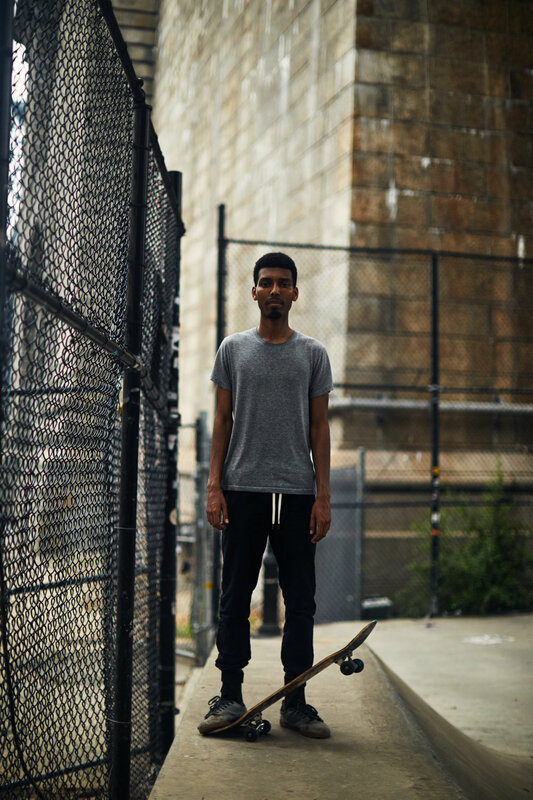 LES is a documentary and portrait project I shot in August while I was living in New York for the Summer. 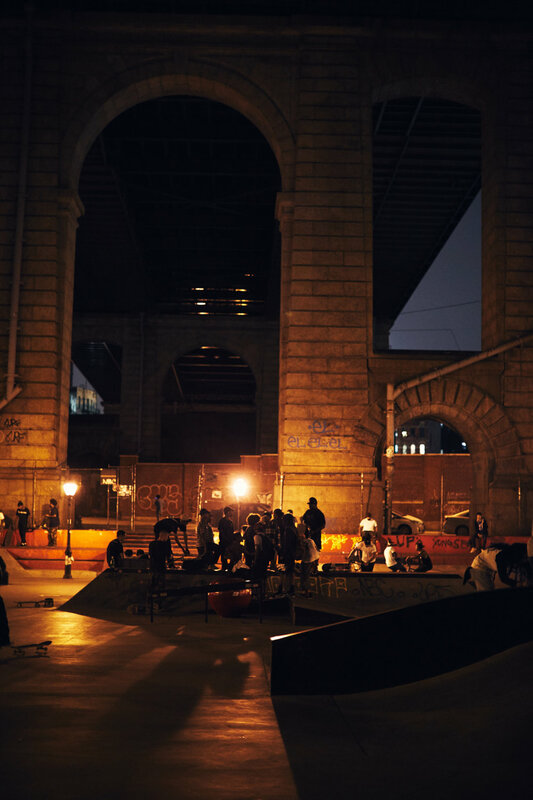 The project was shot within the four fences that enclose LES Skatepark in Chinatown. 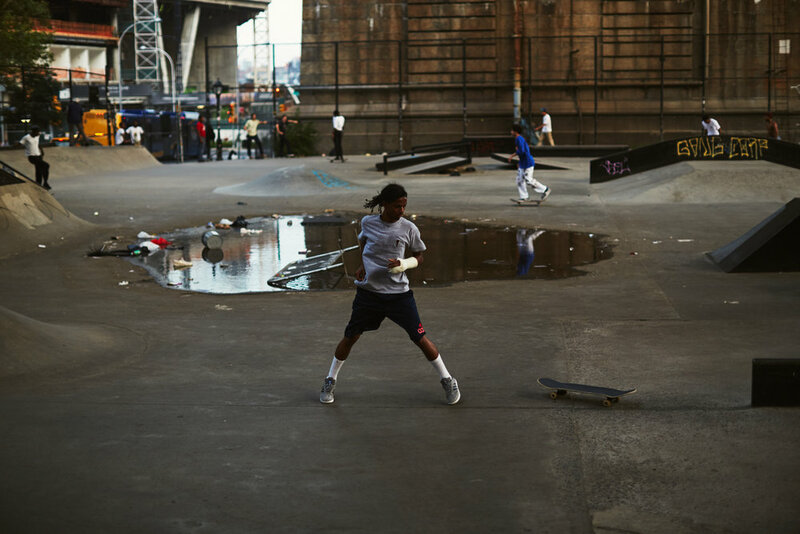 Before I even moved to New York I knew I wanted to shoot some sort of photo project in LES. 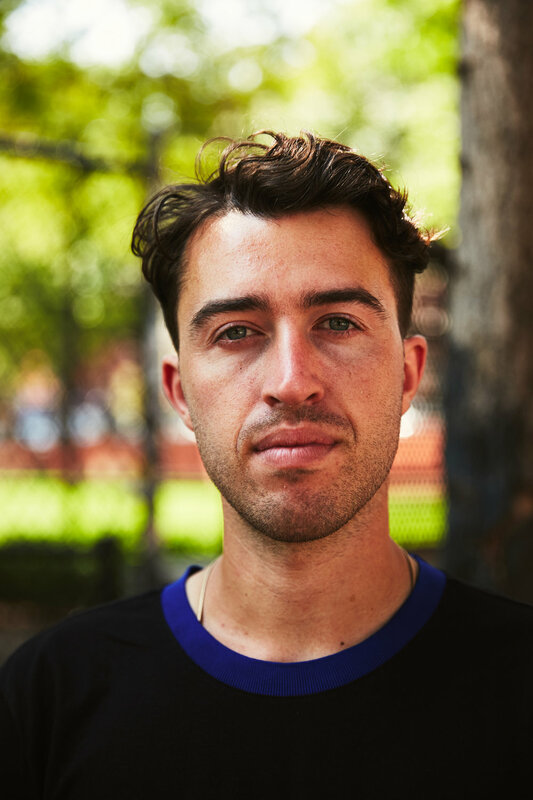 I've been skating for 10 years, and have dreamed of skating in NYC since, and as LES is pretty much at the core of the scene over there it made sense to shoot something based around the park. 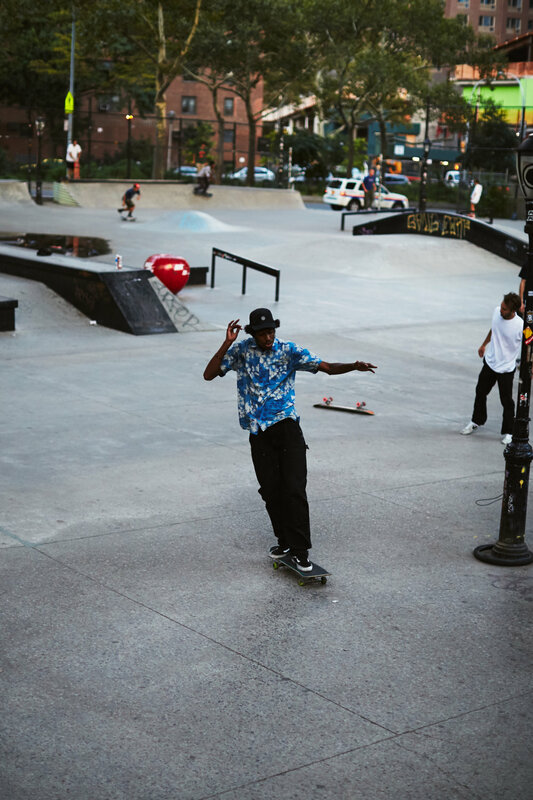 I spent the majority of August focused on shooting this project, 4-5 days a week I'd head to LES to skate for a few hours and shoot some photos. I actually didn't bring my camera to the skatepark at all during the first month that I skated there, as I wanted to get a feel for the park and be somewhat recognised by the locals as a skater rather than just a photographer trying to get some skate photos. 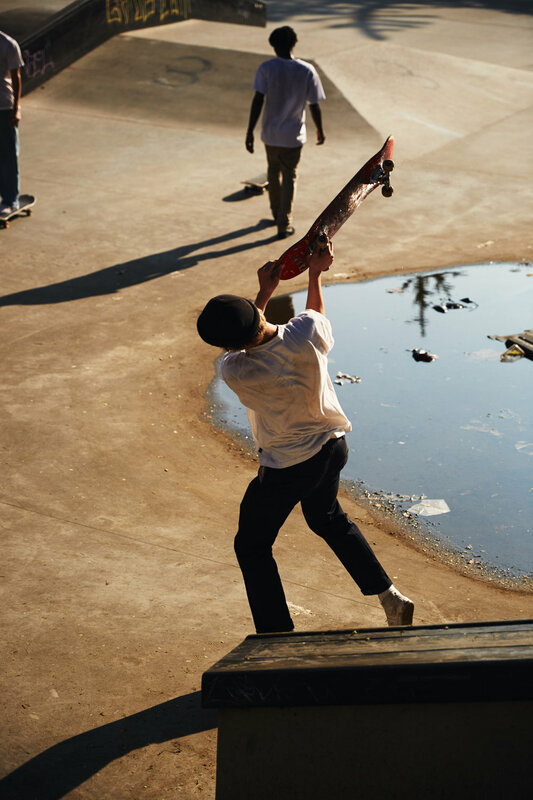 There are actually very few 'typical' skate photos in the book, the majority are documentary shots of the daily happenings in the skatepark and some portraits of locals, I was hyped to get to shoot a portrait of NYC skate legend Steve Rodriguez and his son Shiki (who also rips) and include them in the book, as Steve was one of the main reasons the skatepark got built. The photos I included are outtakes that didn't make it to the book, but are shots that I still love. Pick up a copy of the book here! Very excited to announce that my first ever book is now available to order! 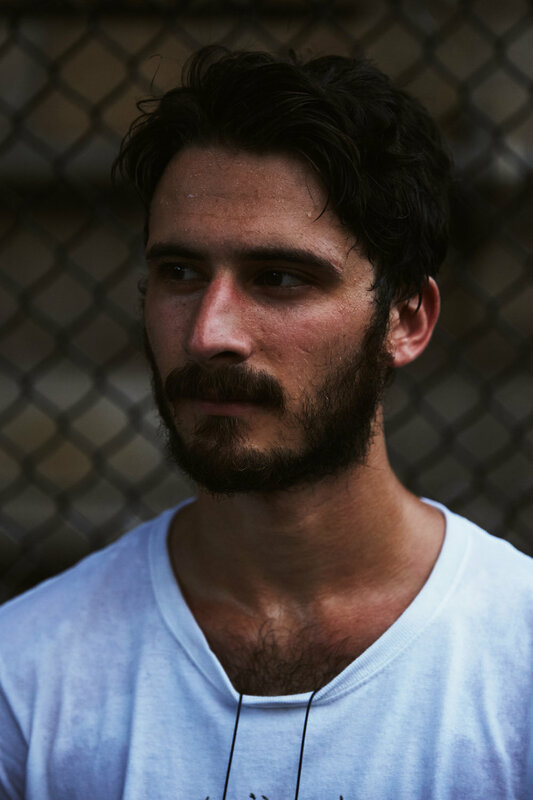 I spent most of the month of August shooting and skating in LES skatepark in New York, and the result is this 32 page 22x28cm documentary and portrait photography book. I'm delighted to finally be able put it out. Pick up your copy here! !